MIAMI, FL--(Marketwired - December 05, 2013) - AdvanceTec Industries expands its in-vehicle product line with the release of the Sprint® Kyocera Torque Hands-Free Car Kit. 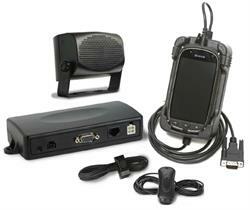 The Car Kit AT6331A provides a safe and convenient hands-free use of the phone in both Cellular and Push-to-Talk (PTT) modes while driving. The kit consists of a junction/brain box controller, 10-watt external speaker, remote PTT button, visor microphone, and all required cabling for installation. The custom cradle secures the phone in place. "Despite the obvious advantages of a hands-free car kit such as convenience, the most important benefit should be the enhanced safety," said Angel Cortes, Sales Director at AdvanceTec -- Mobility Division. 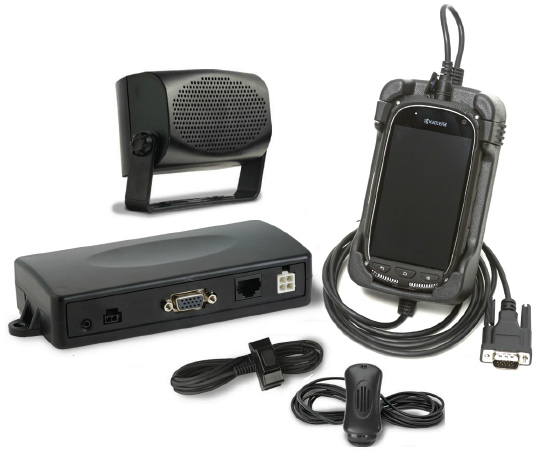 "AdvanceTec's new lineup of in-vehicle devices enables fleet customers to optimize staff communications, while keeping their drivers and vehicles safer while on the road." Optional accessories include a privacy handset, gooseneck microphone, mobile foot pedal, and heavy duty palm microphone. Made in USA. AdvanceTec is a trademark of AdvanceTec Industries, Inc. All other trademarks or service names are the property of their respective owners.